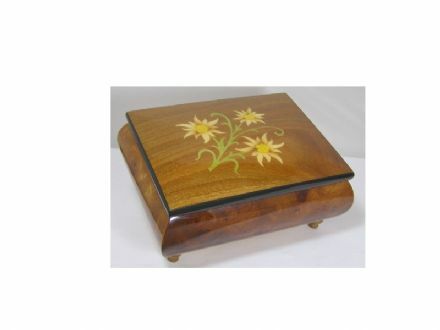 A very stylish ballerina music box in black wood. This classic music box is an ideal gift for somebody looking for a more adult ballerina music box. 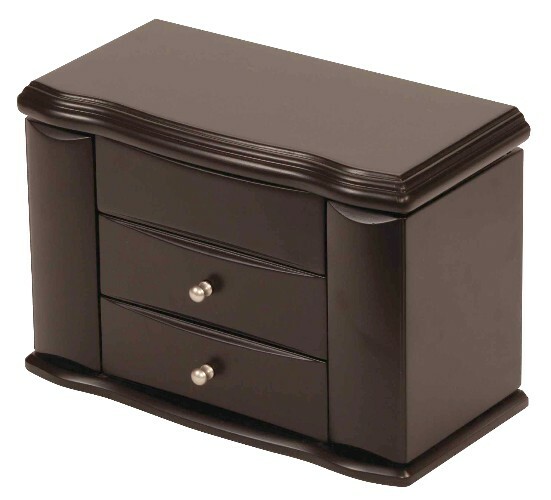 The music box is made from black wood and features alot of storage compartments. There are two pull out drawers at the front, each with a chrome effect handle. The two ends of the box swing out to provide an area for necklaces to be hung from hooks and above this two smaller compartments for small pieces of jewellery. 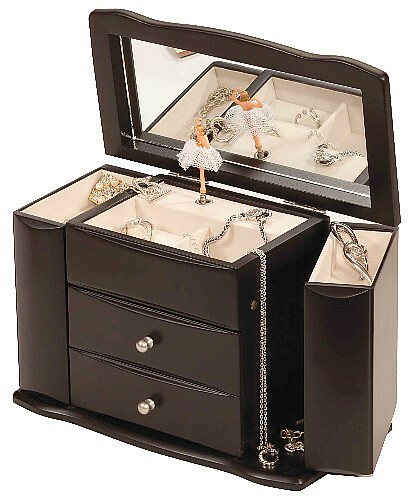 When the lid is lifted, the ballerina figurine is revealed and also another storage compartment, providing padded slots for rings and a further area for smaller pieces of jewellery. All the compartments are lined in a cream baize which looks very stylish against the black wood. The Cassa music box is fitted with a musical movement that plays the tune 'The Magic Flute' by Mozart. When the lid is lifted the music plays and the ballerina revolves to the music. The music shuts off when the lid is closed.